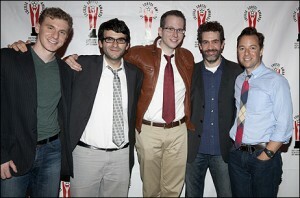 MAR 31, 2011 – WE THE PEOPLE nominated for Lucille Lortel Award for Best Off-Broadway Musical! 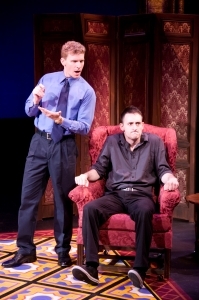 The musical, whose score includes my song “The First Amendment,” premiered Off-Broadway in the summer of 2010. MAR 5, 2011 – Best Featured Actor nom! I was nominated for a BroadwayWorld San Francisco Award for Best Featured Actor in a Local Musical, for my performance as Detective Marcus in MURDER FOR TWO at the Eureka Theatre!